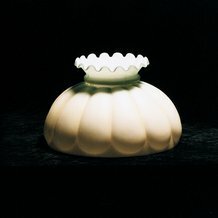 Besides adding beauty to a lamp, the right lampshade diffuses light for perfect illumination that's easy on the eyes. 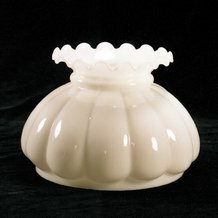 Lehman's carries an outstanding selection of oil lamp and Aladdin lampshades and accessories. 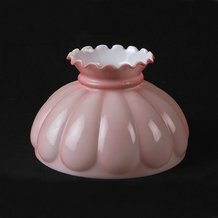 Whether you are seeking a replacement for a broken lampshade or just want a new one for decorative purposes, you'll find a great selection of hard-to-find as well as common oil lampshades here. 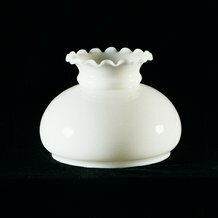 If you are searching for the right Aladdin lampshades, you can shop with confidence here. 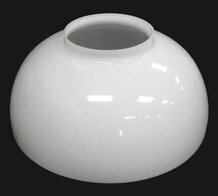 We carry genuine replacement Aladdin lampshades built to withstand the high heat these lamps produce. 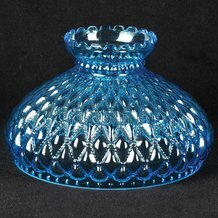 We also stock a wide range of glass oil lampshades in a variety of styles, colors, shapes and sizes. 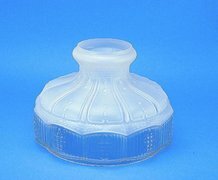 Whether you are looking for a 10-inch oil lampshade, a 7-incher or some other size glass oil lampshade, we likely have it. 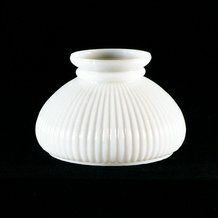 Choose from plain white glass shades as well as more artistic versions in colors ranging from cranberry to green, with or without intricate designs. 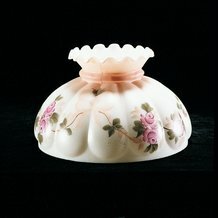 In addition to glass, we have parchment and cloth lampshades that will add a special decorative touch to your oil lamp. 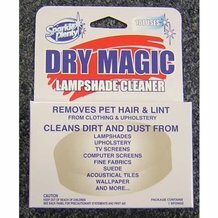 Don't forget to check out our lampshade cleaners and other accessories to keep your shades looking their best.